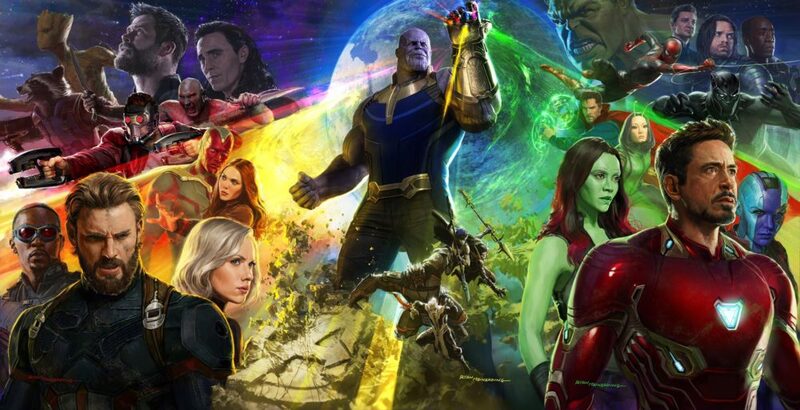 We’ve been waiting for what actually feels like forever, but we’re FINALLY going to get the Avengers: Infinity War trailer — and so soon. Like, tomorrow soon. A teaser video was posted to the Avengers Twitter account, with fans getting excited for and enthusiastically reacting to trailers for previous Marvel movies. And we have literally zero doubts they’ll be doing the same when the Avengers: Infinity War trailer drops IN JUST A MATTER OF HOURS. Now, is this the best news ever, or is this the best news ever?! The Avengers account also dropped a super sleek poster that is making us even more excited. Just when we thought we couldn’t be more excited. And in hilarious news, Spider-Man himself apparently shared the “confidential” poster on Instagram Live earlier today. In case you need a little refresher, here’s what we can expect from Avengers: Infinity War. Spoiler: It sounds nothing short of awesome. "As the Avengers and their allies have continued to protect the world from threats too large for any one hero to handle, a new danger has emerged from the cosmic shadows: Thanos," a plot description reads. "A despot of intergalactic infamy, his goal is to collect all six Infinity Stones, artifacts of unimaginable power, and use them to inflict his twisted will on all of reality. Everything the Avengers have fought for has led up to this moment — the fate of Earth and existence itself has never been more uncertain." Like we said: nothing short of awesome. Avengers: Infinity War lands in theaters on May 4th, 2018, which feels so far away — but at least we’ll have this trailer to pour over while we wait.